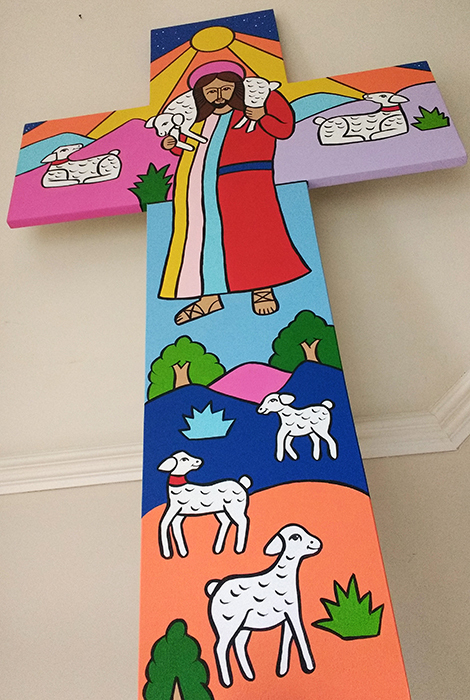 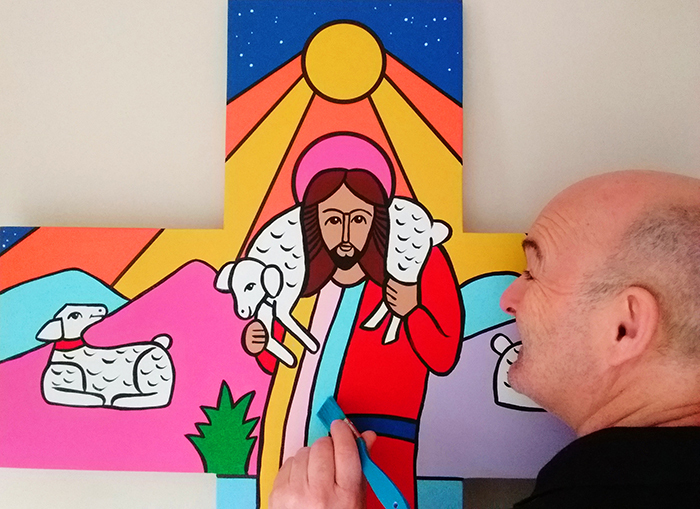 This wooden crucifix was created and painted for a Catholic School in Kent. 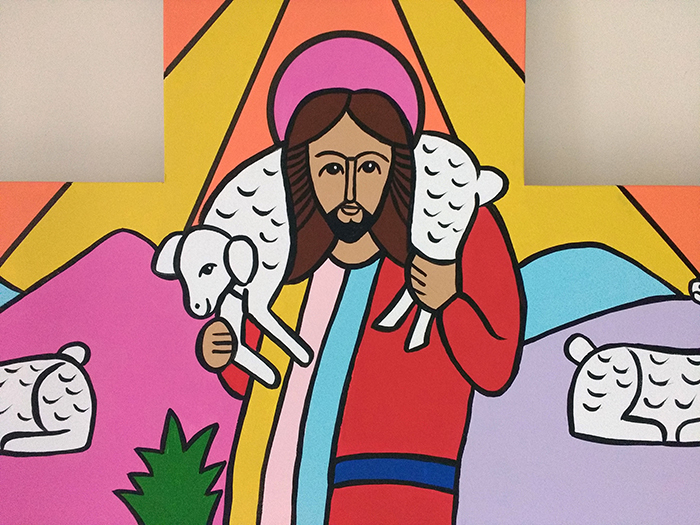 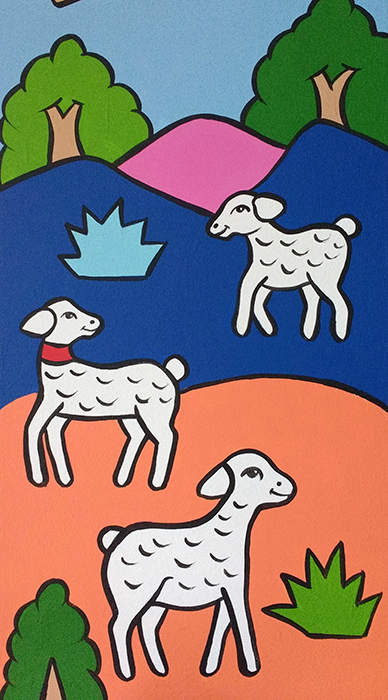 The image features Jesus and his flock, both above and below. 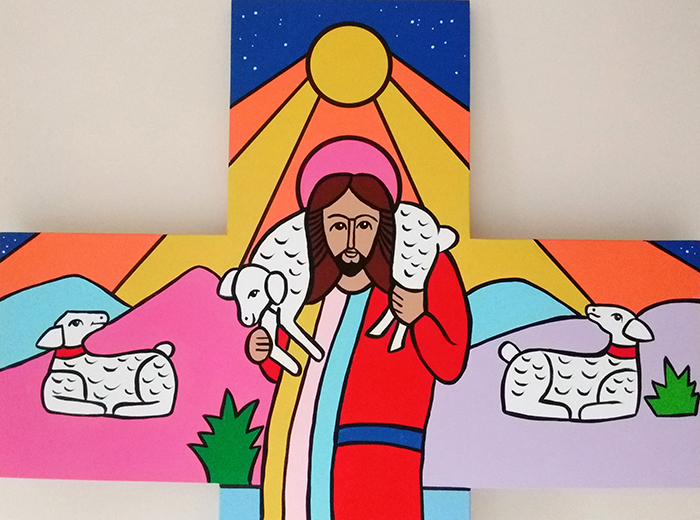 I replicated this simple cross from a small 6 inch high wooden crucifix that existed in the school. 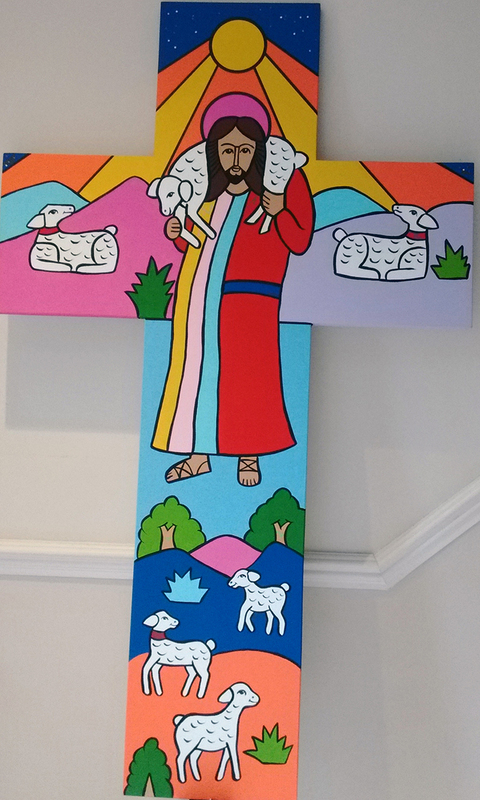 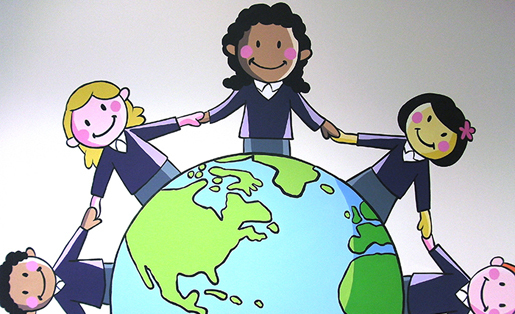 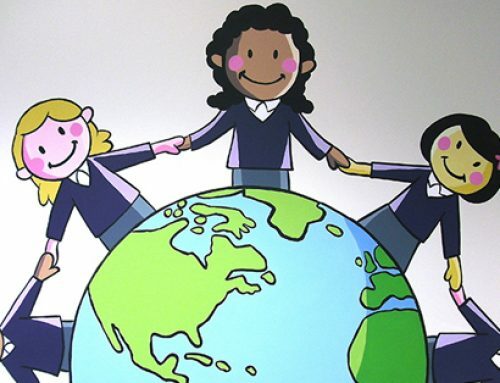 The cross now features in a stairwell of the school as a colourful wall piece.